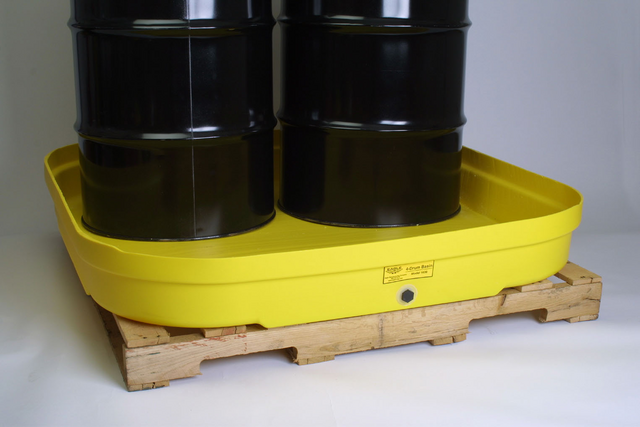 If you need a storage pad for batteries or hazardous chemicals or need spill trays for your maintenance or repair operations then we have many options for you. All of our choices are made of heavy duty polyethylene or HDPE and some can be purchase with grates. 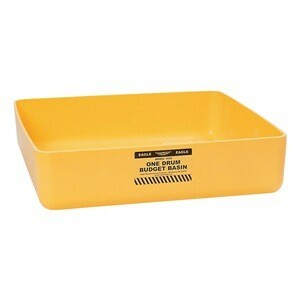 Rectangular Spill Trays Our rectangular secondary containment tray is 54"x 29.75" and is only 3.5 inches high to give it a low profile. 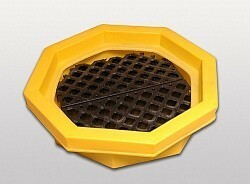 Without the grate it has a 16.5 gallon sump and with the grating the tray has a 14 gallon capacity. 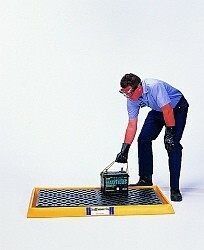 The grates are 2'x4' and fit inside the containment tray, elevating the containers or batteries you have stored on it. Round Spill Trays We have two round drum trays. They both come with or without grates and both have optional dollies.The main differences between the two trays is the tray height. One is 6" (A1614E & A1615E) while the other one is 8 - 1/8" high (A1045U & A1046U). 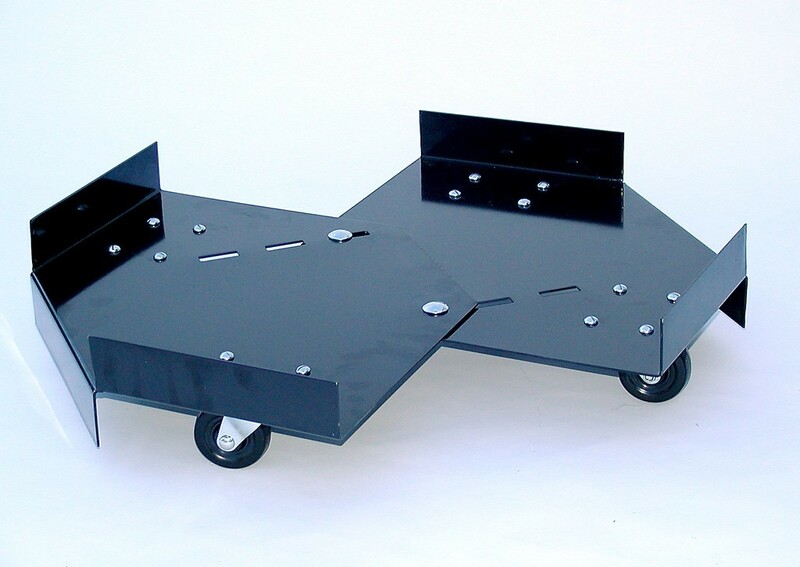 The optional dollies on both units have 3' casters. 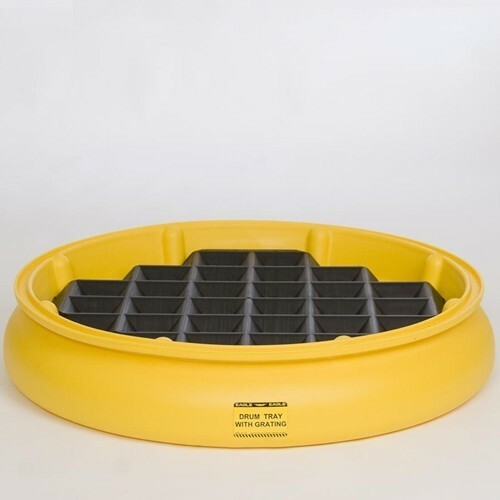 Drum Budget Spill Trays These low cost spill trays (basins) are constructed of HDPE so they have excellent chemical resistance. Although they do not have grates the load capacity is 5000 pounds. 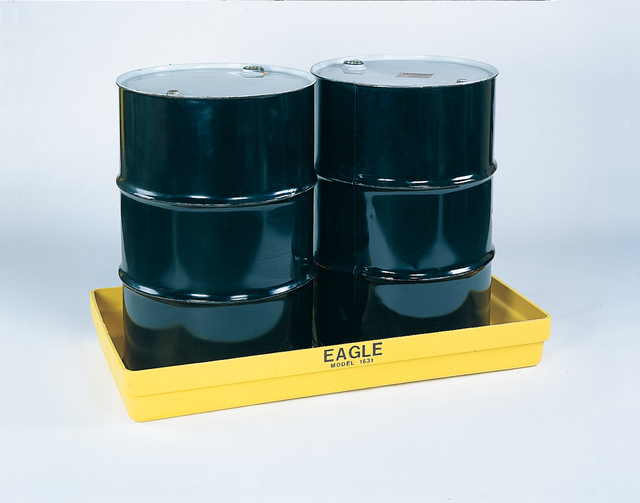 Great for temporary storage or moving of drums, as a large tray for cleaning projects or for keeping chemicals off the floor when refilling containers. 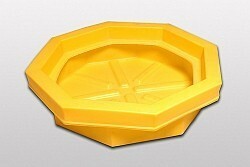 To view the large selection of spill containment trays we carry please click here. Don't forget to order absorbent pads or rolls to make the cleaning of your spill trays easier.